Socioh has lost access to my social media channel. How do I reconnect? Sometimes Socioh loses access to your Facebook / Twitter / Pinterest / Tumblr / Instagram account and is unable to post on your behalf. 1. 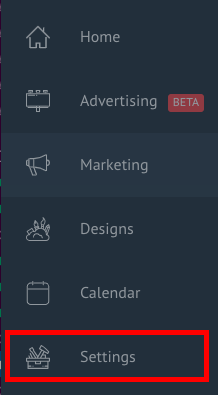 Click on Settings in the left column of your dashboard. 2. Click on Social Media Channels. 3. Select the Network that has been disconnected and click Connect. Your Socioh dashboard loses access to your Instagram account when you log out of the Socioh mobile app. Simply log back in* and refresh your dashboard on your desktop to see the updated status. *Please log in with the same Facebook account that you used to create your Socioh account. Your Shoppable Feed stops working when the Instasuccess Toolkit loses access to your Instagram. 1. Log in to your Socioh dashboard. 2. Click on Marketing tab. 3. Select Instagram Shoppable Feed and then reconnect. 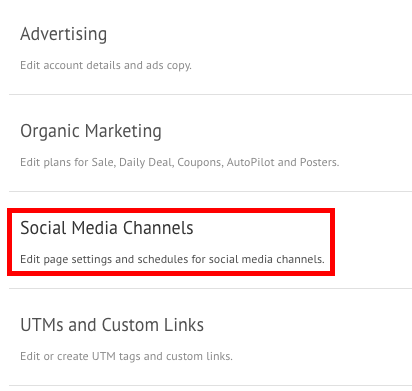 In case you get stuck anywhere, reach out to us using the orange chat button in your dashboard.